The CW has officially given its annual mass renewal, picking up 10 series for the upcoming 2018-19 season. 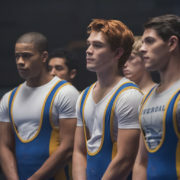 Included are Riverdale, Dynasty, Arrow, Crazy Ex-Girlfriend, and more. On tonight’s episode of Dynasty, Fallon seeks to prove that Alexis weaseled her way into Thomas’s will, while Cristal tries to protect her marriage to Blake. On tonight’s episode of Dynasty, Alexis comes back into the Carrington orbit after Thomas’s death, while Fallon’s feud with Jeff goes public. KSiteTV’s Shilo Adams explains how CW soap Dynasty pulled itself from an early season malaise to become the next must watch soap. The CW has announced that for the first time in a decade, they’ll be programming Sundays. Their schedule officially expands in fall 2018. GALECA: The Society of LGBTQ Entertainment Critics has announced the 9th annual Dorian Award winners, which include Big Little Lies and Twin Peaks. 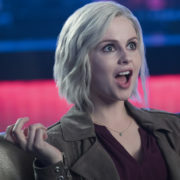 The CW has announced premiere dates for midseason 2018, including The 100, The Originals, iZombie and Life Sentence. TV tonight includes the season finale of Mr. Robot, season premiere of The Librarians, and fall finales of The Goldbergs, Star, and Dynasty. On the fall finale of Dynasty, the Carrington household is rocked by the arrival of Cristal’s sister Iris and Blake’s father Thomas. TV tonight includes the finales of South Park and Broad City, the fall finales of SVU and Chicago PD, and the series premieres of Happy! 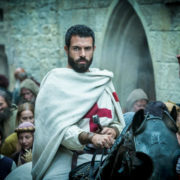 and Knightfall.